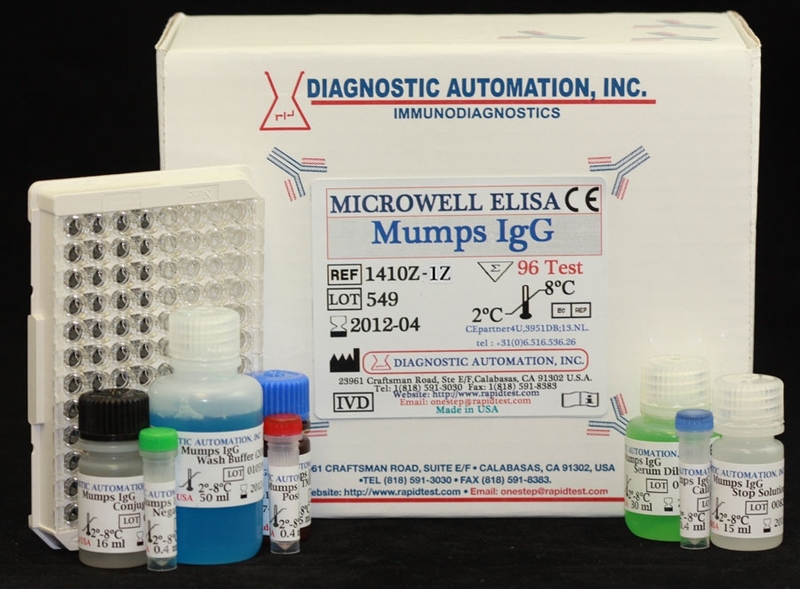 The Diagnostic Automation Mumps IgM ELISA kit is intended for the detection and quantitative determination of IgG antibody to Mumps virus in human sera. Individual serum specimens may be used for the determination of immune status. 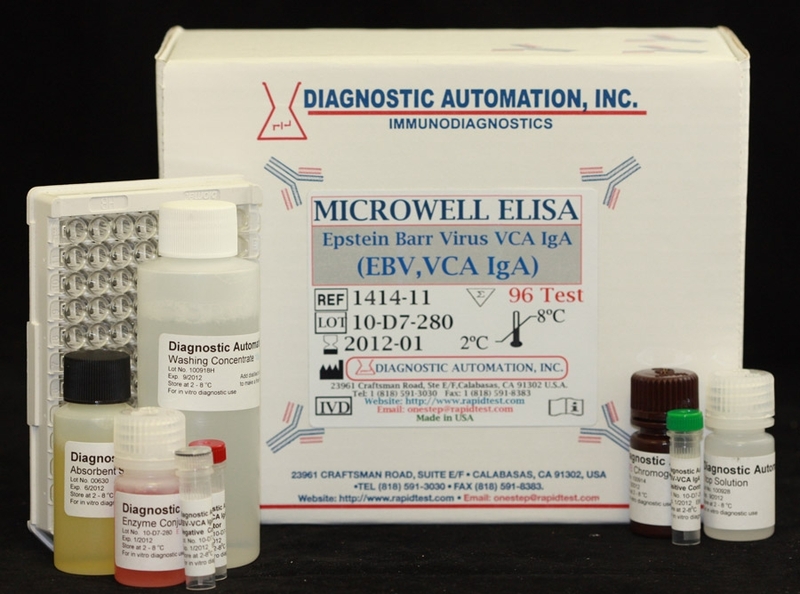 Paired sera, acute and convalescent, may be used to demonstrate seroconversion or a significant rise in antibody as an aid in the diagnosis of recent or current infection. The mumps virus is a member of the paramyxovirus group and the etiological agent of mumps in man. Mumps is a generalized illness usually accompanied by parotid (salivary gland) swelling and mild symptoms. It is also one of the most common causes of aseptic meningitis, encephalitis, and inflammation of the testes (orchitis), pancreas, and ovaries. Current methods for serodiagnosis of mumps infections are in-vitro serum neutralization, hemagglutination-inhibition (HAI), indirect immunofluorescence, and complement fixation (CF) tests. Of these methods, neutralization is reportedly the most specific. However, the neutralization test requires 4-5 days to complete the test. HAI and CF are reportedly less sensitive than the neutralization test. These methods lack specificity, which limits their usefulness in determining immune status. The HAI test also requires pretreatment of test sera to remove nonspecific hemagglutination inhibitors from some sera. Anti-Mumps virus IgM appear 2-3 days after the occurrence of the first clinical symptoms (these remain 2-3 months), followed by the production of Mumps IgG antibodies which persist lifelong following vaccination with live virus there is a seroconversion in 90% of cases, however, the titre is somewhat lower than in normal infections. 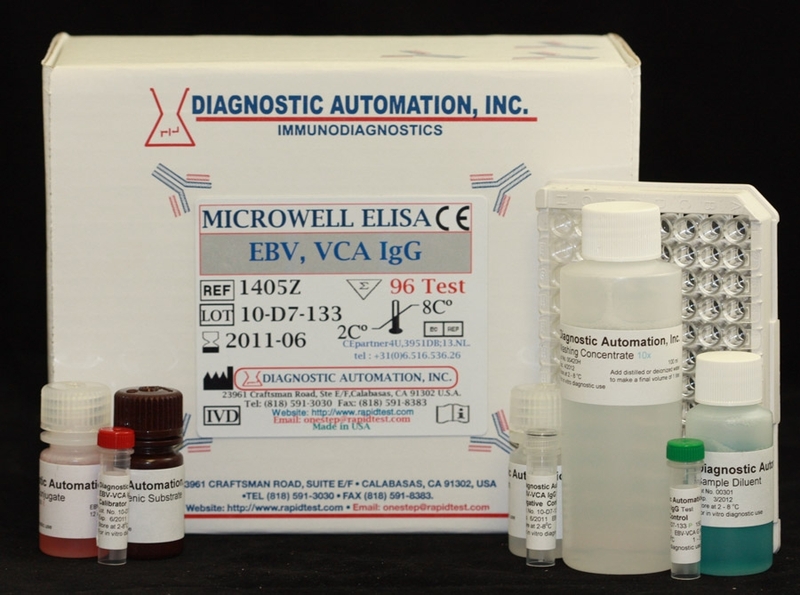 ELISA can be both specific and sensitive for the detection and measurement of serum proteins. The sensitivity, specificity, and reproducibility of elisa test can be comparable to other serological tests for antibody, such as immunofluorescence, complement fixation, hemagglutination and neutralization. 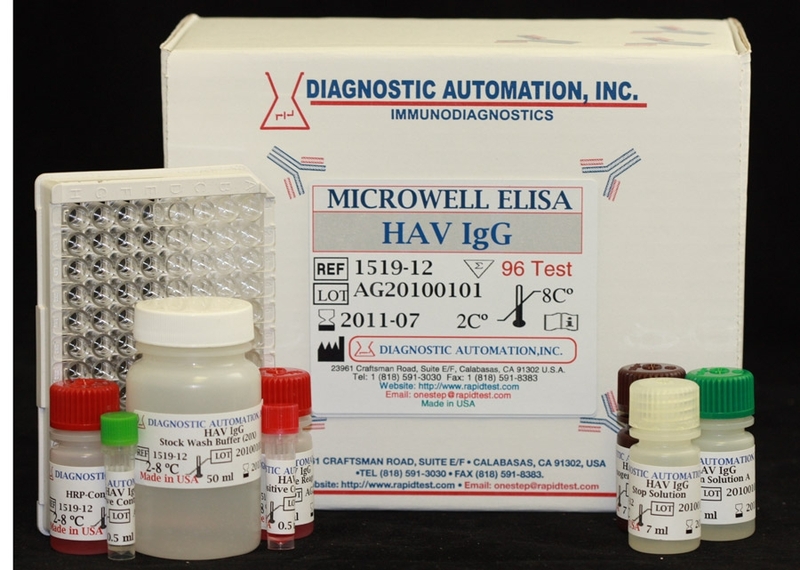 In this Mumps diagnosis test, purified Mumps antigen is coated on the surface of microwells. Diluted patient serum is added to wells, and the Mumps IgG specific antibody, if present, binds to the antigen. All unbound materials are washed away. After adding enzyme conjugate, it binds to the antibody-antigen complex. Excess enzyme conjugate is washed off, and TMB Chromogenic Substrate is added. The enzyme conjugate catalytic reaction is stopped at a specific time. The intensity of the color generated is proportional to the amount of IgG specific antibody in the sample. 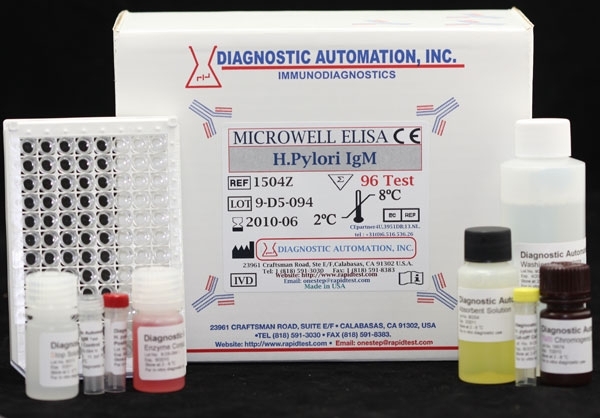 The results of the test for Mumps are read by a microwell reader compared in a parallel manner with calibrator and controls.